Pantone’s color of the year for 2018 is ultraviolet, a perfect color to incorporate into your Mother’s Day brunch. 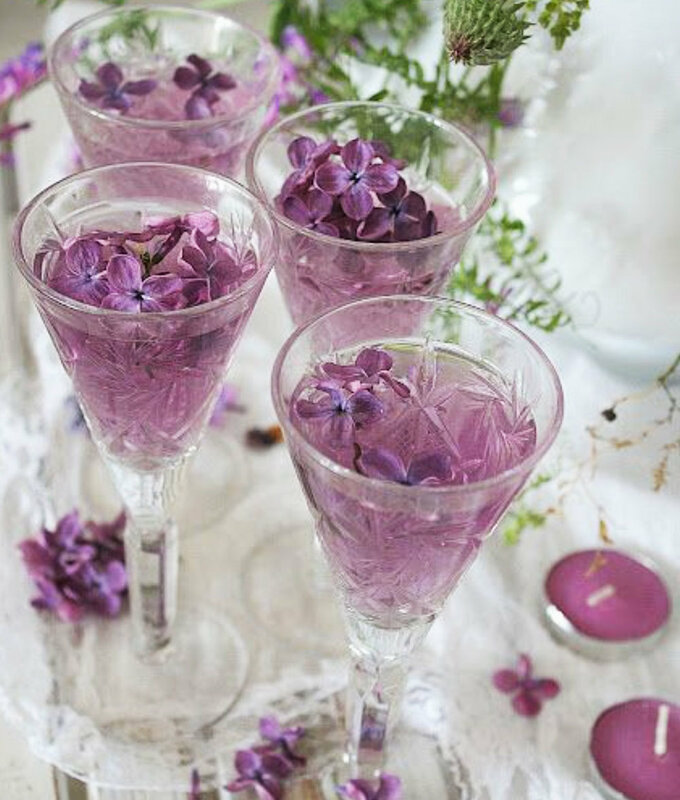 Showcase the violet color scheme in your flowers and in your desserts! One way we always recommend saving money on flowers is to focus on greenery with pops of the signature color you want. Enjoy the (much awaited) warm weather and host the brunch outside! If you don’t have the space or the furniture, keep one element outside like a cocktail bar, a sign in book, or a fun photo opportunity. Create a cocktail especially designed for your mom. Include flavors inspired by where she grew up, or maybe your family vacation spot from when you were growing up. Come up with a clever name and explanation, then print signage to frame at the bar. Purchase fun sets of glassware to use at brunch that guests can then take home. 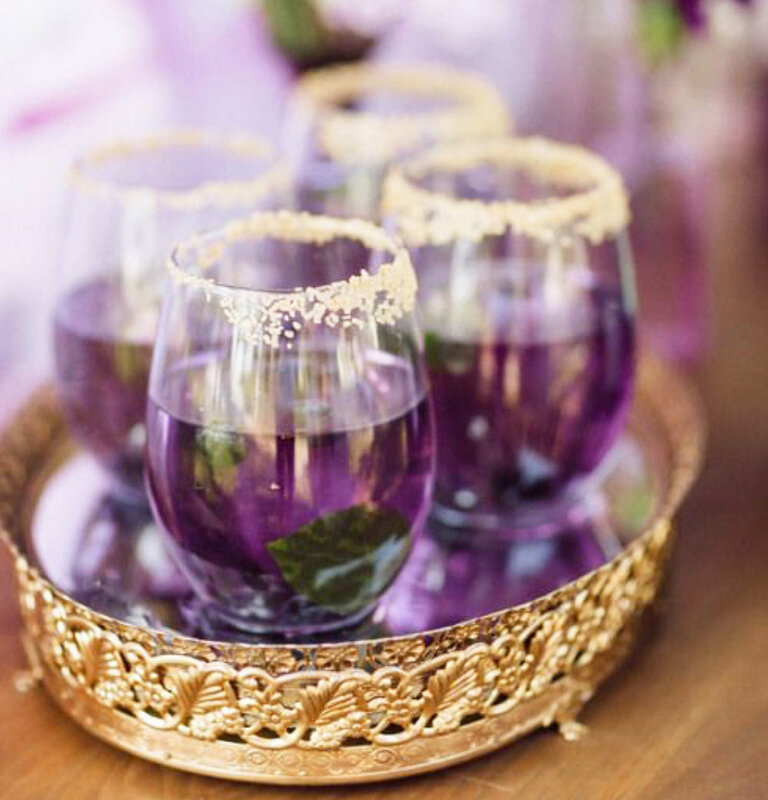 The unique, matching glassware will add to the aesthetic of the event while also creating a useful and sentimental gift. Check out our Pinterest Board here for more ideas, examples, and inspiration!